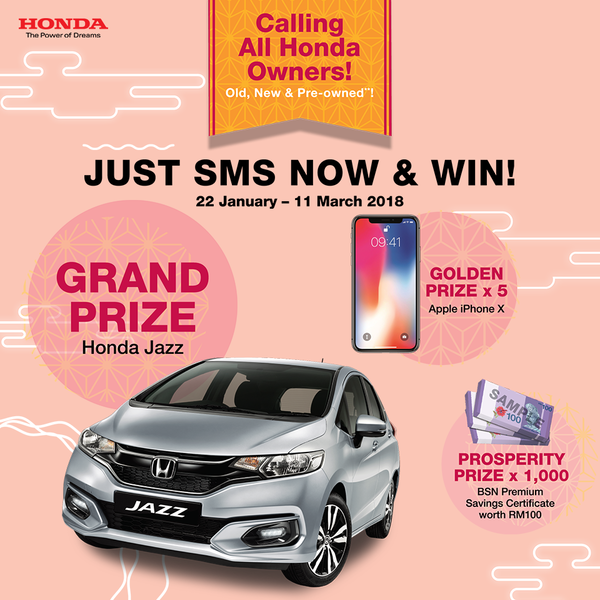 (Contest has ended) Win Honda Jazz and IphoneX!!! Now’s your chance to take away your very own Honda Jazz** or other amazing prizes! All you have to do is SMS to win. Answer the question: Honda genuine parts are tested and approved by Honda R&D Japan. **Applicable for all Honda cars except for reconditioned (recon) cars.